I love soup. 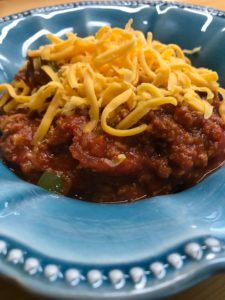 Not only is it such an easy meal, it’s just so warm and comforting. 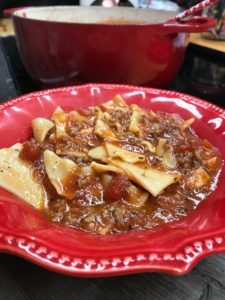 And this lasagna soup is a family favorite. 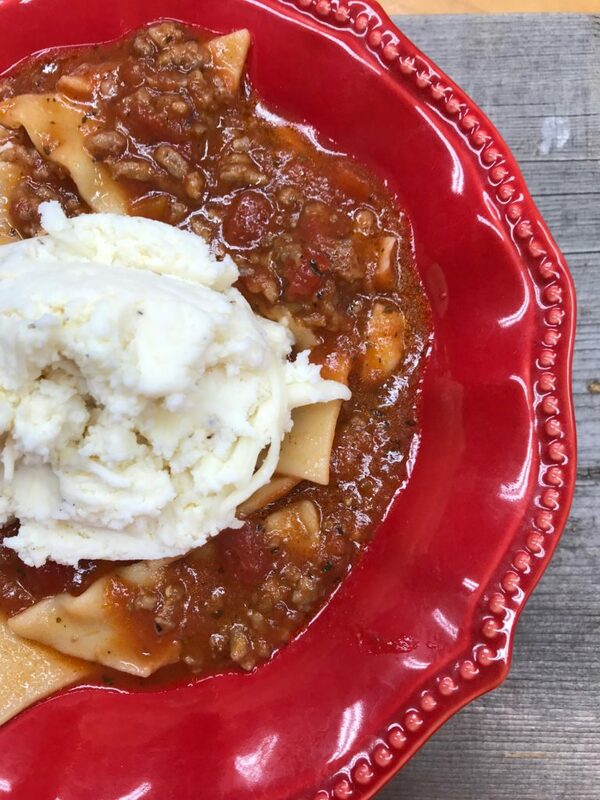 This hearty soup has all the flavor of traditional lasagna without any of the work! This soup comes together in less than 30 minutes! Throw together a quick salad or serve with some garlic bread, and you are set! 1 lb. Italian sausage (*You can use mild, sweet, or hot. Just use what you like, or what you’d ordinarily use to make a regular lasagna!) You could also use ground beef or ground turkey, but I feel like the Italian sausage just adds so much flavor. 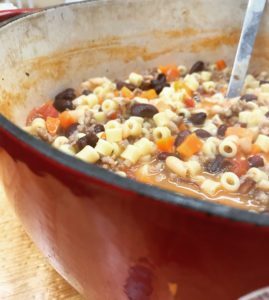 If you’re going low-carb, this soup would still be really tasty without the noodles! *You can definitely add MORE cheese. I usually don’t measure -but did this time to help give everyone an idea of how much to put in. It’s cheese. You can’t go wrong here. Once the sausage is fully cooked through, add the chicken stock, crushed tomatoes, diced tomatoes, and spices. Bring to a boil, and add your broken lasagna noodles. Reduce to medium-low and cook until noodles are done, about 8-10 minutes. While you are waiting on your noodles to soften, mix up the ricotta topping. Simply combine the ricotta, mozzarella, and parmesan cheeses in a bowl. Taste and season to your liking. 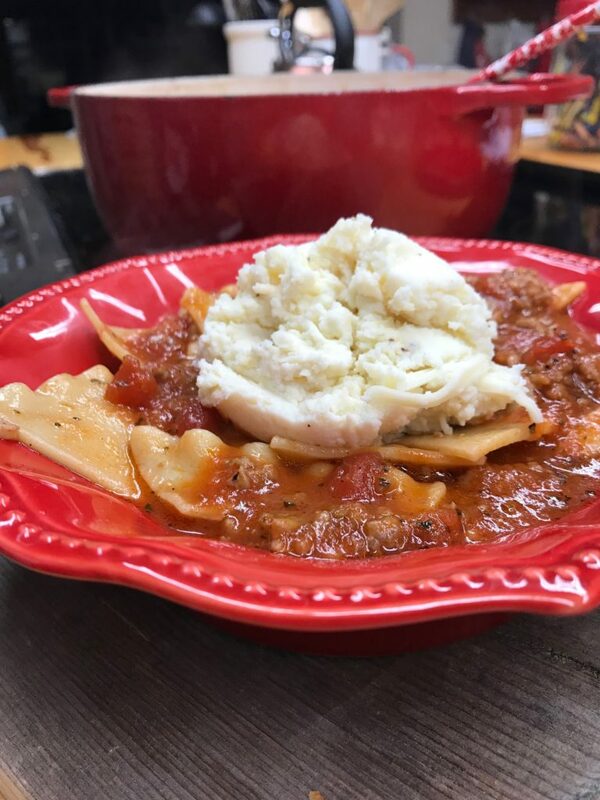 You can either serve your lasagna soup plain, or with a big dollop of the ricotta cheese on the top OR the bottom of the bowl. I like to put mine on top, but my daughter likes to put the ricotta in the bowl first. Either way is delicious!